Every so often I feel like painting a picture, creating an image where everything is possible. 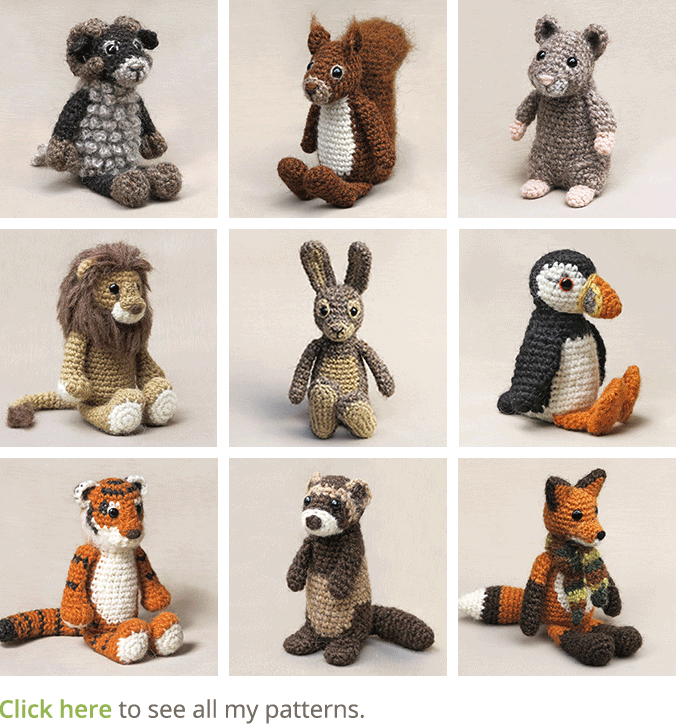 My crochet animals are the perfect theme for these illustrations, as I can make them come alive in a fairytale world. 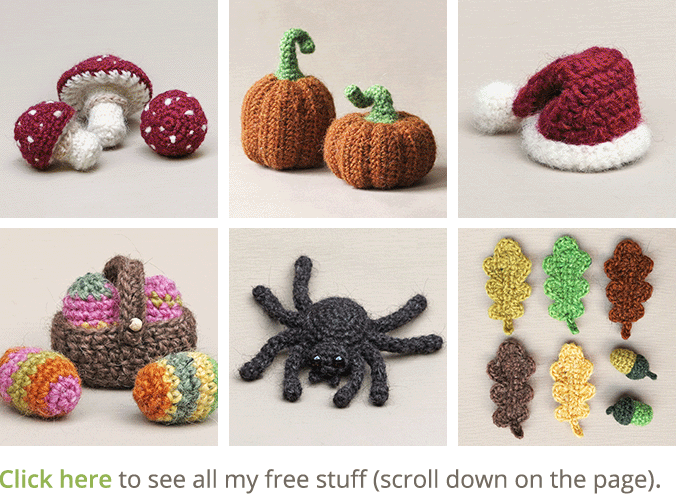 For my ‘working self’ there is nothing more exhilarating than combining my work as an illustrator with my crochet designs like this. It is so much fun and inspirational. 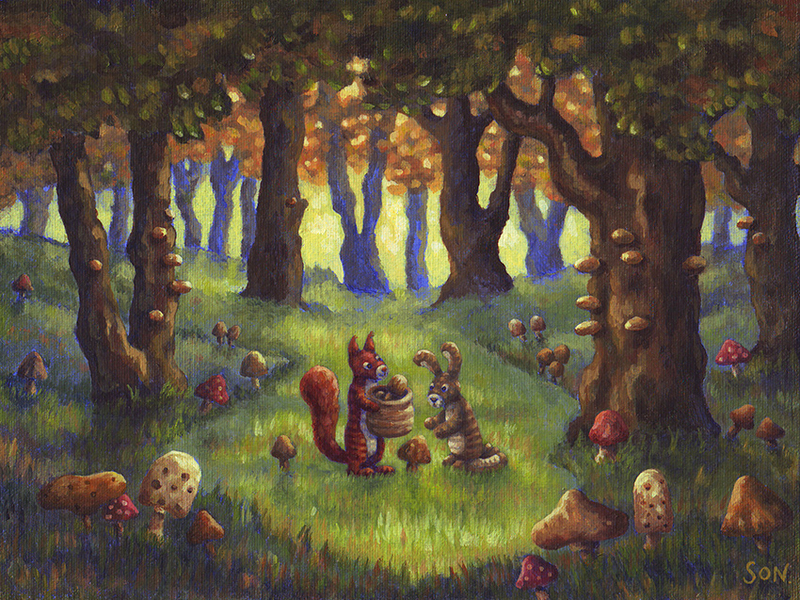 ‘Floro and Finse’s wondrous autumn’ is a seasonal Popkes painting, the third in a series of four illustrations. 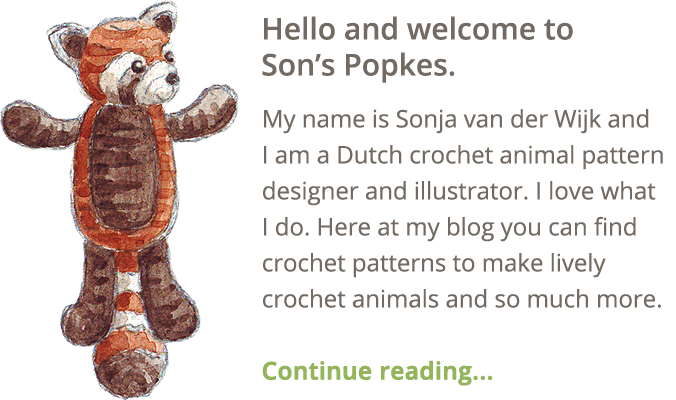 I previously made a winter and spring illustration featuring my crochet animals. A summer illustration should be next on my list, but as summer is my least favourite season that probably will take a while. I thought it would be interesting to show you a slideshow of the process of making this illustration. As you can see, blue is my white and the painting slowly gets its full colour. It is no surprise to me that this illustration is my best loved so far, as autumn is my dearest season, it is those colours! Your painting is lovely. Whimsical and rich in colour and feeling all at the same time! Thanks Nathalie, how is your painting going?